Whether you're responsible for purchasing beds for a hospital, nursing home or personal care home, you need to choose bedding that will keep your patients or residents comfortable while ensuring that your institution remains clean and hygienic. Unlike conventional mattresses and box springs, the Continental Sleep Waterproof Vinyl Orthopedic Mattress was designed specifically with the needs of facilities like yours in mind and is ideal for any institutional setting. The set can also be used for home health care or for children dealing with bed-wetting problems. - OFFERS TRUE WATERPROOF PROTECTION. The vinyl cover completely blocks fluids, eliminating worries about urinary incontinence. - SUPPORTS THE SPINE OPTIMALLY. Orthopedic innerspring mattress provides the ideal amount of back support for a comfortable night's sleep. - ENSURES USER COMFORT. Foam padding treats users to luxury without compromising support. - MEETS ALL INSTITUTIONAL STANDARDS. 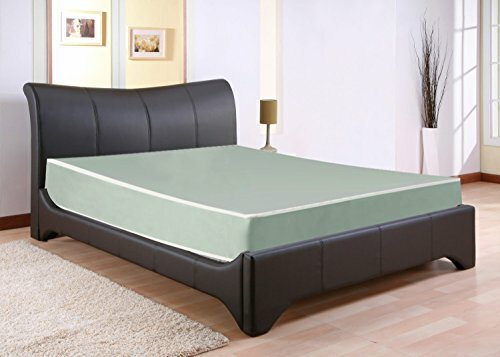 The mattress is fully sealed with no zipper opening to comply with hygiene and sanitation requirements. - ALLOWS FOR EASY MAINTENANCE. Wiping the vinyl cover clean is quick and simple. - PROVIDES QUALITY YOU CAN COUNT ON. We manufacture our bedding sets only in the USA in accordance with strict quality standards to treat you and your patients or residents to the very best. Choose the institutional mattress set that will maximize your return on investment in hospital bedding. If you have any questions about this product by Continental Sleep, contact us by completing and submitting the form below. If you are looking for a specif part number, please include it with your message.